With over 32 years of experience in the limousine business in the San Francisco Bay Area, Palo Alto Limo provides limo and car service for cities from San Francisco to Monterey. We also have a wide range of group transportation services for your corporate needs including corporate buses, executive shuttles, employee vans and charter services. Owners are local, both born in Palo Alto,CA. Palo Alto, Atherton, Menlo Park, Los Altos, Saratoga, Cupertino, Santa Clara, Mountain View, Los Gatos, Redwood City, East Palo Alto, Woodside, Portola Valley and West San Jose. Our drivers take the responsibility of getting you where you need to be, on time and safely, seriously. 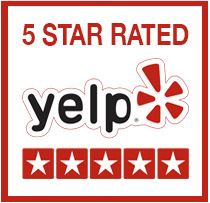 Please read our Yelp Reviews where you can read what our clients say about us. ~ Our drivers speak clear English and are required to have one point or less on their driving record. ~ Dispatchers are on duty and ready to take calls from 8 AM-10 PM Monday-Friday. ~ Please leave a message if you reach us during off hours and someone will get back to you. We are fully licensed and fully insured – CA PUC TCP-P #34084. We accept Gold, Silver, Cash, Visa, Mastercard and American Express. Just wish I had used them sooner!